Thy Art Is Murder has revealed the details of their anticipated upcoming album after the return of CJ McMahon. 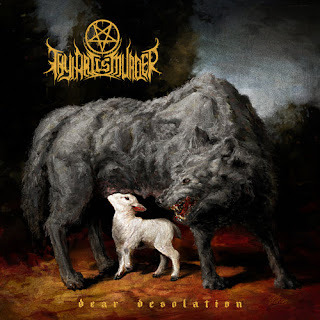 The record, entitled "Dear Desolation", will be released on August 18th via Nuclear Blast (pre-order here)and will be featuring 10 tracks. The album was recorded again by Will Putney in New Jersey, while the cover is an illustration of Eliran Kantor. The band has also released the video for the song "Slaves Beyond Death".